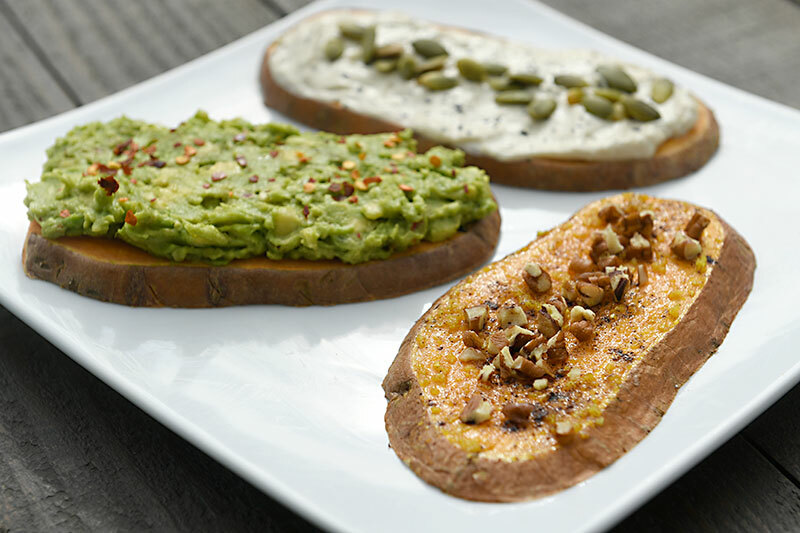 Sweet Potato Toast. Photo by John Anderson. Rose Cacao Tahini Truffle. Photo by John Anderson. Iced & Warm Golden Mylk. Photo by John Anderson. "We try to eat healthy, but to be honest a lot of health food tastes like sawdust and dirt. Curcuma chef/owner Rachel Musquiz has found a better way. Everything is plant-based, and friendly to those eating paleo or gluten-free. And just because there is a list of ingredients that they don’t use doesn’t mean you’ll ever feel like you are missing out." Kitchari Bowl & Golden Mylk. Photo by Jess Engle. "Making healthy choices got even more delicious now that Austin has Curcuma. The turquoise trailer started off on South 1st Street and recently relocated to the east side. Stop by for a golden mylk latte and a kitchari bowl, which is a delightful medley of warm quinoa, mung beans, massaged organic spinach, avocado, pickled onion, ginger chutney, crispy chickpeas and turmeric tahini dressing." Kitchari Bowl. Photo by Cristina Fisher. "Curcuma boasts a menu full of Ayurvedic inspired, plant-based goodies that taste as colorful & vibrant as they look. Novelties such as Golden Mylk , Matcha Lattes, Sweet Potato Toast and Kitchari Bowls have helped establish Curcuma as a one-of-a-kind destination in a city that is constantly launching new food concepts." "Ayurveda, Golden Milk, Journaling (Morning Pages), Tarot and Green Smoothie with Kombucha. HOW TO BE A MORNING PERSON is a series that shows you how inspiring people around the world start their day right." "If you’re looking for healthy vegan options, try Curcuma! This Tiffany & Co colored airstream is sure to bring a smile to your face like it did for me. 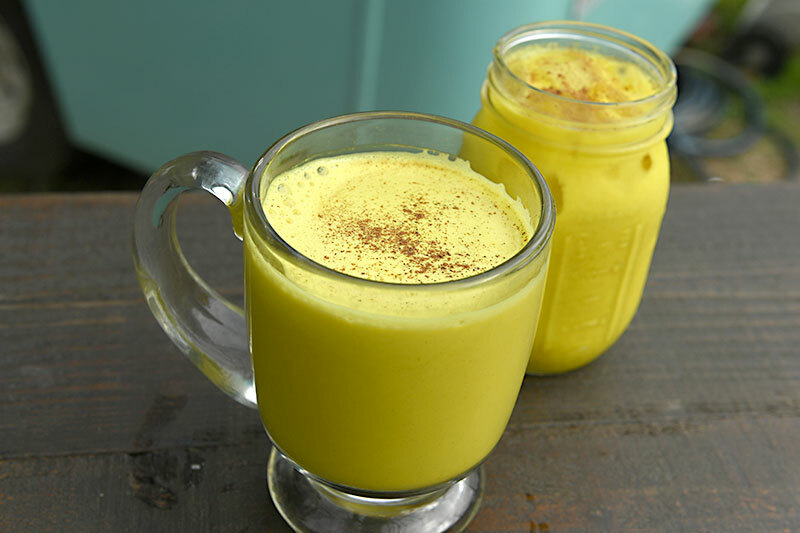 I’m drinking the golden mylk latte with turmeric and house-made coconut milk. She also has black lemonade!" "Although Curcuma is 100 percent plant-based, it’s not just for vegans! Whether you’re vegan, paleo, gluten-free, or are just a foodie who loves to try new dishes, the menu at Curcuma will satisfy your hunger. This new food truck is stacked with superfoods and innovative twists on healthy ingredients, such as sweet potato toast and turmeric-based golden mylk."